The story of PONG (not to be confused with Tennis, invented by Ralph Baer) started much earlier than 1972. At the end of the 1960's, Steve Russell's "Space War" game had been circulating throughout many campus' and companies' huge and expensive PDP computers. Nolan Bushnell envisioned this game being played by the masses. He set to work to build a simpler and less expensive platform to play his version of Space War... the result was Computer Space. The game was sold by Nutting Associates, Inc. and would bear the marking "Syzygy Engineered" to represent Nolan and fellow partner Ted Dabney's new company: Syzygy, which would later become officially Incorporated on June 27, 1972 as Atari, Inc. (Nolan enjoyed playing japanese chess game "Go", where "Check" translated as "Atari" in Japanese, hence the new company name). Only 1,500 Computer Spaces were sold and did not meet with favorable response from the game players. In an interview, Nolan explained the main problem he had with Computer Space: "You had to read the instructions before you could play, people didn't want to read instructions. To be successful, I had to come up with a game people already knew how to play; something so simple that any drunk in any bar could play." Nolan and Ted would go it alone and hire Allan Alcorn to design the first game under the Atari name: PONG. "PONG" was choosen for its meaning: a hollow, ringing sound, which was exactly what Nolan wanted in the game. Amazingly, Alan had no idea how to get some sound from the initial version of the game. Therefore he took a speaker (amplified) with one wire connected to the ground of the circuit board, and the other to be eventually connected to the point giving the best possible sound effects. And so was born the PONG sound that we all know! If Allan Alcorn designed PONG, he did not invent it. As a matter of fact, Magnavox was putting their new Odyssey home video game console in demonstration in May 1972. On May 24, Nolan went to the demonstration held at the Magnavox Profit Caravan at Burlingame, California where he signed the guest book and played the predecessor of PONG: Tennis. Then, he told Allan Alcorn to design PONG. However, it would be very unfair to base the history on this fact. Many people consider that Bushnell and Alcorn pirated the Tennis game that Ralph Baer and his co-workers designed in 1967. Not only this isn't quite true, but in fact they did a better version of it, taking advantage of the TTL technology which by then became affordable, at least in the arcade business. The result was an improved game with segmented paddles and bounces, digital on-screen scoring and attractive sound effects. David Winter's opinion is simple: who blames Bill Gates for having copied the BASIC programing language to port it to millions of home computers (including the apple 2) between 1975 and the late 1980s ? Nobody. He had the best idea of its time and allowed everybody to have a computer at home and program it using a simple language. This is pretty much the same with PONG: in 1972, you would not go to a retail store to try an Odyssey except for a very short time. PONG and its clones were the best advertisements for the video game. By going to a bar and playing the game, everybody could enjoy it and eventually buy an Odyssey to play at home. It is obvious that the Magnavox Odyssey sales would not have had the same success without PONG, so thank you guys, you did very well ! By 1972, Nolan Bushnell would leave Ampex and go into business with Ted Dabney and Larry Byron. Larry would soon drop out leaving just Nolan and Ted. The idea was to create the game technology and license it to other companies to build such as they did with Computer Space to Nutting Associates. 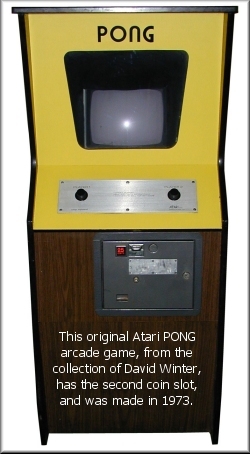 However, by the time PONG had finished its testing phase at a local bar called Andy Capps Tavern, owned by Bill Gattis. Nolan realized that there was more to be made if he and his partner sold the game themselves. November 1972 saw the first production PONG games rolling off the assembly line. This assembly line run out of a converted Roller Rink off of Winchester Blvd. (According to Nolan Bushnell: 38,000 Pong's were built and sold). PONG simulation by and (C) Martin Goldberg. Developed with the assistance of Alan Alcorn. prior approval of Martin Goldbeg. Mounted on pinball bars, the PONG prototype machine had an amazing story while being put in demo at Andy Capp's Tavern. It was installed by Nolan and Al themselves. After turning it on, they went to the bar, drunk a few beers while waiting that somebody plays the game. Two guys finally walked to it. Unlike the long told myths, there were no instructions on the front panel ("Avoid missing ball for high score" only appeared on the commercial version as shown on the left). The only way to know how to play was to insert a quarter (quite a price when most games only cost a penny) and observe. Once done, two paddles appeared on both sides of the screen. A ball then traveled through the screen and disappeared with a specific sound, while one of the scores increased to 1. The guys quickly undertstood how to move their paddles using the rotary knobs and dispute a match. When the game was over, Nolan went to the guys and asked what they thought about the game. Unexpectedly, both tried by all means to know who designed it. A few more beers later, Nolan and Al left the bar without seeing anybody else play. 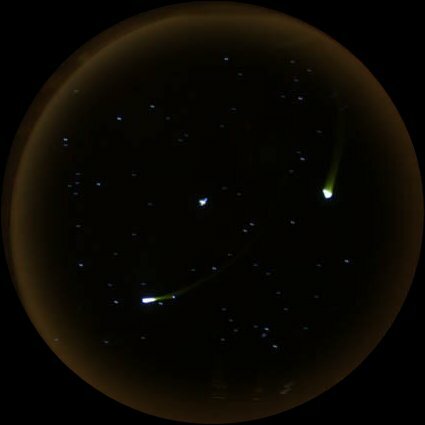 The next myth is what happened the next day. No, the game did NOT fail. No, the quarters DID NOT fill the coin recipient so as to fall on the circuit board and produce short circuits. However, it is true that Bill Gattis called Nolan and Ted to say that there was an unexpected line of people waiting to play the game. Unlike what was told, these guys weren't the usual drunks. They had no drink in hands, and they were working at Ramtek, a company who would join the arcade games venture and release their pong clones during the next Spring. The exact reason of their presence is still unknown, but it is belikeved that one of the two players who tried the game the previous day knew somebody at Ramtek. The only known failures of the game were totally different than what has always been told. The first failure happend about about two weeks later. Bill called again and Al came to fix the game. What exactly happened remains unknown, but the angry guys were given a free play. The real failure happened in the next week when the paddles wouldn't move correctly. As it happened, the game used normal grade potentiometers. Al calculated the average number of spins per game and figured that the potentiometers would be actually spun about 100,000 times in a month, way over what they were designed for. And so Al replaced them by Allen Bradley's military grade ones. Al also opened the laundromat coin mechanism and found around $100 in quarters filling the recipient (meaning around 400 plays since last emptied). Nolan understood the potential of the game and flew to Chicago to demonstrate it to Bally using a portable version directly connected to a TV set. Bally wasn't convinced. Nolan repoted the unlucky event to Al and Ted, and the team opted to make twelve games: one on permanent display at Syzygy/Atari, one to be sent to Bally for evaluation, and ten to be demonstrated in public venues. The earnings from these ten games were much over what the team expected. After writing down an income report for the ten machines, they found the results much over what Computer Space generated and thought that Bally would not believe them. So they decided to cheat the results by cutting the earnings down to a third. But this didn't convince Bally either, who found the results too high. The team was stuck: in the one hand they knew that they had a successful product, but in the other hand their product was stuck by a contract which avoided any other submission until Bally rejected the game, which they wouldn't do. Meanwhile, Nolan went to the MOA Show in Chicago in September 1972 where the portable PONG game was being demonstrated at the Nutting booth, along with a 2-player version of Nutting's Computer Space. 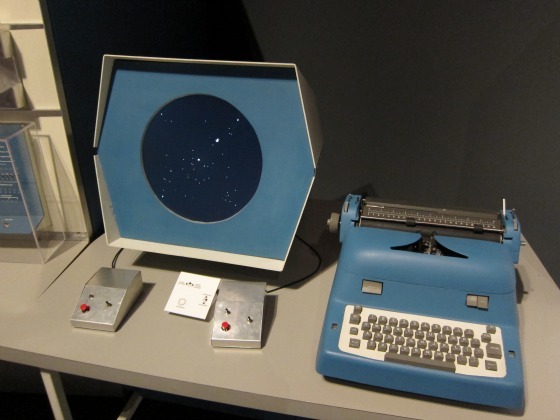 As it happened, that Computer Space didn't contain Nolan's design, but another prototype made by an engineer that Bill Nutting contracted, thus avoiding to pay royalties to Syzygy/Atari. With Nutting being able to produce their own games and Bally not believing the PONG incomes and sticking to their contract, the Syzygy/Atari trio decided not to drop the ball, but to build their own machines. For that, they had to trick Bally and make them reject PONG. The idea was a clever letter, mostly written by Ted, and saying: "This isn't the game you're looking for... we'll give you another." And so the three guys found themselves building their first arcade uprights of PONG as pictured on the left. Bally finally rejected PONG, but required another game per contract. By the end of March 1973, 8,000 to 10,000 PONG machines were sold. The same year, Atari sold an improved version of PONG with two additional players: PONG DOUBLES. Other variants were released later: QUADRA PONG, PIN PONG, DOCTOR PONG, etc. However, Atari did not forecast an obvious problem: bootlegers. Several other companies copied Atari's idea and released their own version of PONG. Some even proposed special kits to improve it (check the one sold by Logic Leisure Ltd). Later, Magnavox discovered the existence of PONG and its public demonstration without any royalty being paid for their Ball and Paddle game patent. They also discovered a PONG machine along with several other imitations during the 1973 MOA Show in Chicago. Ralph Baer came in person and discretely took notes of all infringing games after having checked them. Later in 1974, Magnavox filed a case against several manufacturers including Atari, Bally, and Seeburg. Unlike others who eventually lost the battle, Atari preferred paying $1,500,000 to Magnavox and became one of their first licensees, which gave them the required license for manufactring PONG machines coin-ops. More about the arcade versions of PONG can be found in the Arcade PONG page. Note from David Winter: if you want to read the real history of Atari much in detail (including many previously untold stories), I strongly recommend Atari Inc. - Business Is Fun by Martin Goldberg and Curt Vendel. From the link you can read more about it, purchase your copy and even be informed of the second part recently announced: Atari Corp. - Business Is War. Both books will tell you the story as it happened in its most accurate version. The story of PONG was far from over: 1975 would mark the begining of a new line: home versions of Atari PONG.